When the elevator footage of former Baltimore Ravens running back Ray Rice was released this week, where Rice is seen striking his then-fiancee, public reaction was clear and consistent. A torrent of criticism, shock and sheer fury was unleashed upon Rice, the Ravens and the NFL, which resulted in the quick termination of Rice's contract and a finger-pointing game of "who knew what when." What few could understand, however, was the mindset of Janay Rice, Ray Rice's now-wife and victim in the video. Why did she stay? What are the choices one faces in abusive relationships - with added public scrutiny? Dewan Williams, wife of former NFL player Wally Williams, had a frank and challenging conversation with Michaela Pereira on "New Day" Wednesday about the Rice fallout, and the sometimes subjugated roles of NFL wives. Williams also detailed her own experience with domestic abuse. "When you reach out, you're left on an island by yourself," she said. "I was told by coaches, in our particular situation, I was told not to talk to the media. Not to talk to anyone, not to get an attorney." Williams believes aspects of football culture could potentially foster abusive home lives. "You have these men that are playing a very violent sport, and it's okay to use aggression and to enforce their will on someone else in the football field," she said. Yet despite Rice's admitted guilt, and the incriminating nature of the footage, Williams maintained that Rice is merely being used as an example in the wake of a public backlash. She said she doesn't think Rice should be banned from the league and hopes that he can one day return to the NFL. "I feel that he's being punished because the lights have been turned on," she said. "He’s being made to pay for things that have been ongoing." The list of adjectives one could use to describe comedy legend Joan Rivers is seemingly endless. Most would deem Rivers as funny, naturally, but others would be quick to note that she was acerbic, irreverent and often profane. Yet as friends, family and fans remember the late Rivers, who died Thursday at 81, one description appears to be the most common refrain - unfailingly generous. Can Weather Patterns Help Predict Disease Outbreaks? Scientists and meteorologists are able to predict the weather - could they apply the same technology to predicting epidemics like Ebola? Carlos Watson, co-founder and editor of OZY, appeared on "New Day" Friday to discuss the efficacy of climate change data and technology, and how it could prevent future outbreaks. Researchers have found that there could be correlations between weather patterns and the development of disease in a specific region. Imagine if every person in the United States was subject to a computer hack. Now, multiply that figure - think 313 million - by four, and you have the victims of what could be the biggest heist of digital credentials ever. A new report indicates Russian criminals stole 1.2 billion Internet user names and passwords from over 420,000 websites. To boot, the security breach was not discovered by the United States government, but instead by a private, Milwaukee-based security firm. Early reports from Hold Security, the company that identified the theft, indicate that the Russian crime gang was not seeking financial data. Instead, they used the stolen usernames and passwords to generate spam posts on social media, peddling bogus products like weight loss pills. 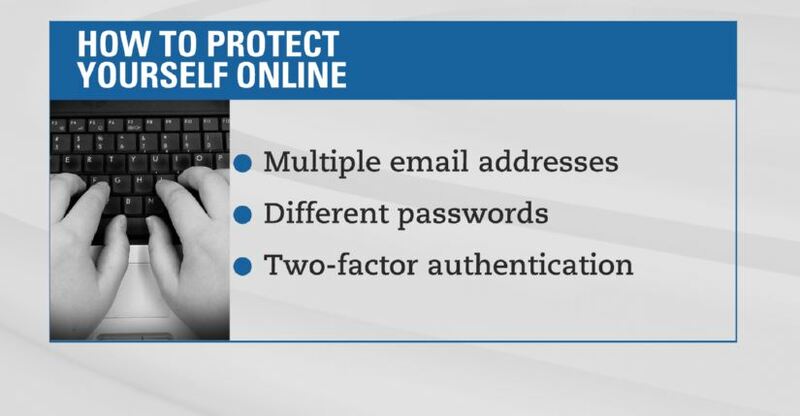 The massive breach, albeit frightening, highlights the laissez-faire approach many take to personal online security, CNN's Poppy Harlow said on "New Day" Wednesday. Harlow paraphrased the message Alex Holden, founder of Hold Security, told CNN MONEY: We keep our homes tidy but we don't keep our online lives tidy.